Barcelona is a huge city so If you will stay here for only three days you will need some helpful ideas on how to spend your time. Here is the list of things that you can see in 3 days if you follow our route. Start with the Gracia and Eixample districts. They are the largest districts in Barcelona with the most popular sites. The first thing that you must see is the beautiful icon of the city – Park Güell. 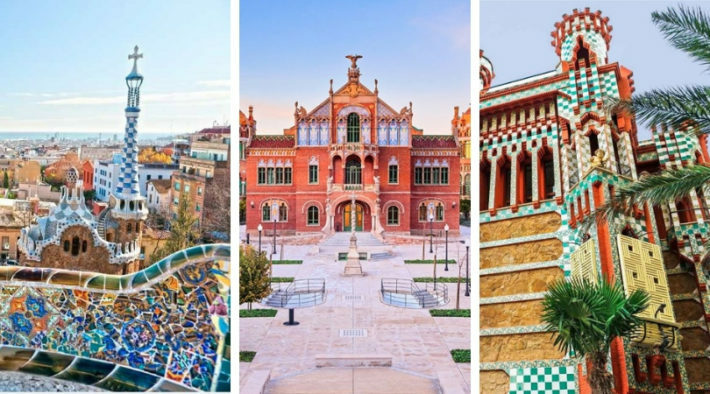 This is the only work of Antoni Gaudí that has a free entrance so we recommend you to go there and enjoy a green walk surrounded by modernist works with a great view from the top of the hill. Next, are colorful architecture and a magnificent corner tower of Casa Vicens that is considered one of the first Gaudi's buildings. The last iconic place in this area is Recinto Modernista de Sant Pau. This magnificent example of Catalan Modernism is now a UNESCO World Heritage and it is a unique piece of architecture in Barcelona. Walking by the streets in Eixample district you will pass by the Casa Mila house. Gaudi's building from the art nouveau period with a specific facade and interior. Close to Casa Mila, you will see another Gaudi's building – Casa Batlló, commonly called The House of Bones. The roof of Casa Batlló has the pattern of dragon skin while colorful mosaic made from broken ceramic tiles surrounds the famous bone-like adornments that are placed above the windows. After the introduction in the Gaudí's work, it is time to see the most visited monument in Spain – La Sagrada Família. La Sagrada is a universal masterpiece that combines all symbols of Christianity. Near the Sagrada, you will pass by Barcelona's most central area and a favorite meeting point – Plaça de Catalunya. Walk by some of the largest shops or grab something to eat while heading to Arc de Triomf. The triumphal arch was built as the main gate for the 1888 Barcelona World Fair and now has become one of the most iconic sites in the city that crosses over the wide central promenade leading to the Ciutadella Park. On the second day, you can explore the origins of Barcelona in the district of Ciutat Vella (The Old City). Start the tour from the heartbeat of the city – Las Ramblas! Enjoy a meal, drink or buy some flowers or souvenirs while going to La Boqueria – the most famous market in Europe. 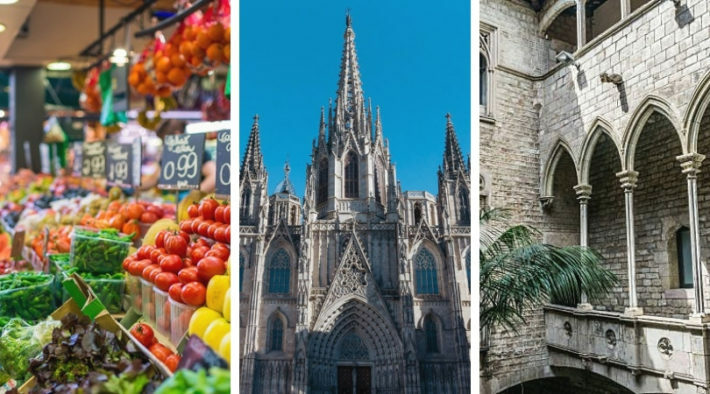 Walking by the streets of Gothic Quarter you will see the Barcelona Cathedral that is the largest religious building in Barcelona and one of the finest examples of Gothic architecture in Spain. Nearby stands the Basilica Santa Maria Del Mar – a great example of Gothic architecture with a magnificent interior where you can enter for free. Gothic quarter is also a home of Picasso Museum and Museum of the History of Barcelona, so if you are an art fan you must visit at list one of them. 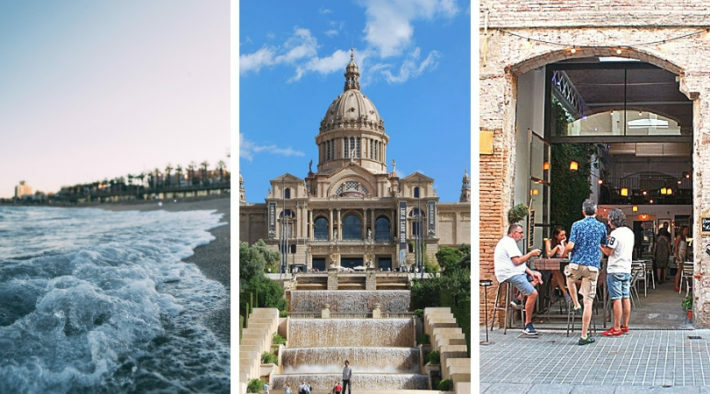 The third day is for relaxing and the best districts to do that are La Barceloneta, El Poble Sec, and Poble Nou. La Barceloneta is a district where you play outdoor sports, have a picnic or drink a mojito on the beach looking at the sea. You can also have lunch in some seafood restaurants that are near the yachts marinas like the Port Olímpic. Walk along the palm-lined promenade or take a Port Cable Car that offers you the panoramic city view on its way to Montjuïc hill. The Montjuic hill is in El Poble-Sec district where you can also relax in the Mossen Costs botanical garden. If you want to grab a snack go to Carrer de Blai – the street of tapas bars. We recommend you to visit beautiful Museu Nacional D’art de Cataluna (MNAC) that you can just check from the outside. 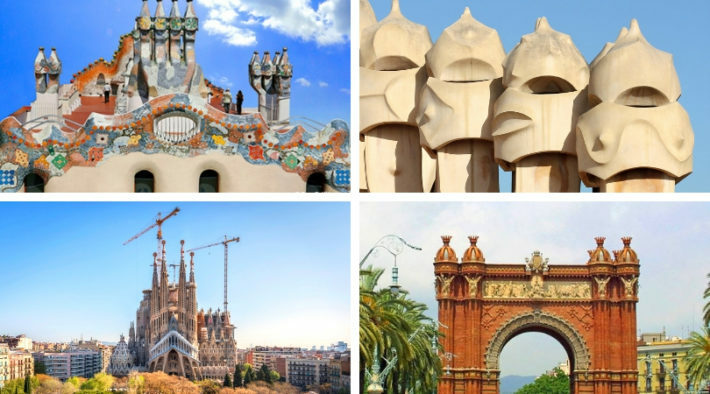 However, if you will want to go in you will see the world’s best collection of Romanesque mural paintings, Catalan Modernism, Gothic Art, and Renaissance and Baroque paintings. To see more go to Poble Nou, a district of hip cafes, restaurants, and bars. This is also the new technological district where you can see the futuristic Barcelona Design Museum and the Torre Agbar skyscraper. One more thing that we recommend is to see the El Poble Espanyol, the charming village that represents regions from all over Spain. Wander through its alleyways, peruse its different shops and restaurants or buy some hand-crafted souvenirs. Click on the link and find out How to experience the entire Spanish culture in a few hours. If you still do not have a place to stay in Barcelona city check the Habitat Apartments website and find yourself a quality apartment for the best price.